A year after Mills College changed its admissions policy regarding gender identification, some students still find the College has more work to do in order to fulfill the full promise that decision suggests. 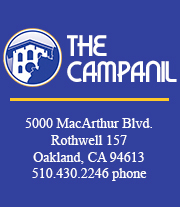 The Campanil spoke with Alexa Pagonas, class of 1991, who is currently working on a documentary about the 1990 strike. Mills professors Marianne Sheldon and Kathleen Walkup recount the famous sixteen days in 1990. Mills Alumnae Meredith May and Lisa Kremer share their experiences with the 1990 protest. The F.W. Olin library used to be known as the Margaret Carnegie Library, which was located where the M Center is now located. The amount of women’s colleges have fallen from 230 to 40 in only 50 years despite the satisfaction of students and alumnae. Erin Armstrong shares her personal experience as a Trans woman and the importance of creating space on campus.